What a day here in London. It’s been pouring rain all day long! But that won’t dampen the Woman Crush Wednesday spirits. 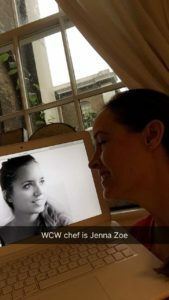 Because the 70th WCW honoree needs her day in the sun, even if I have to create it in my own kitchen. But that won’t be hard because today’s recipe is a shining star alright. Thanks to the gorgeous gourmet gal Jenna Zoe. Jenna is the author of two awesome cookbooks. Both are filled with healthy, “free from”, plant based recipes. And I am so excited to make the Peanut Butter and Jelly Thumbprint cookies recipe from Super Healthy Snacks and Treats. I am an admitted peanut butter addict! 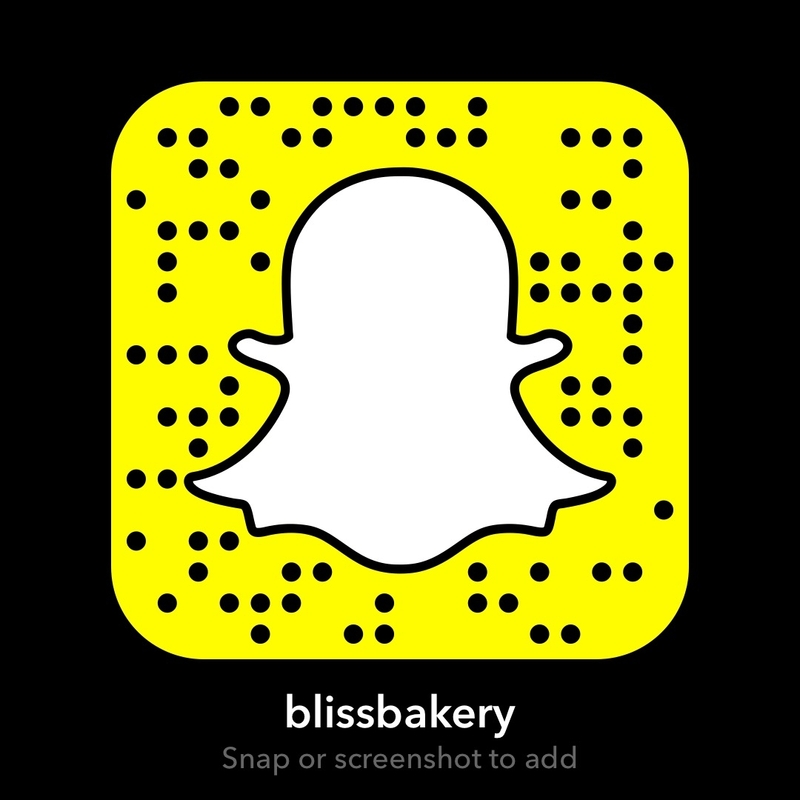 As per usual each week, I’ll do a live cooking tutorial on my Snapchat account (username blissbakery). I’ll try not to eat all the cookies before I take photos of them to share on here! No joke, these are so more-ish! So much so that my hubby had more times five. Yes he ate five of these cookies before I even had a chance to finish this blog post. And I had two myself just to fuel me while typing this. 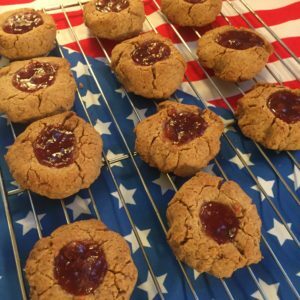 They are chewy and a perfect combination of peanut butter flavor and sweet strawberry jam. You don’t miss the eggs at all, and making them without sugar lets you eat them not worrying you’ll have a sugar crash in an hour. I think these would be fab for kids that need a little treat that is still healthy. And since they are dairy free, even my granddaughters can have them! Jenna is a certified nutritionalist. 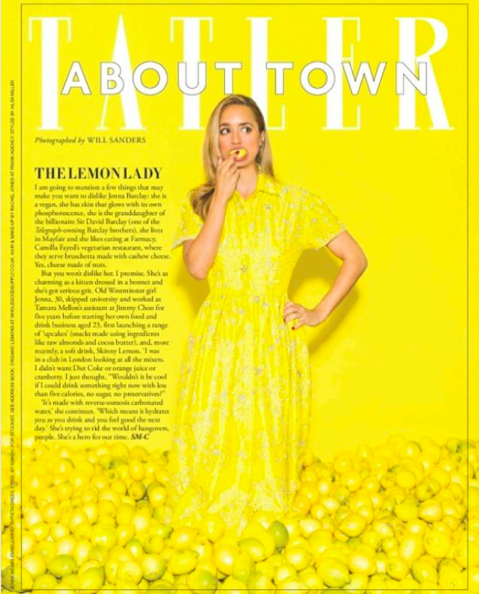 She was drawn to that field after spending much of her teen years visiting her own nutritionalist to deal with some food related health issues. So her website and books reflect her “clean eating” ethos. But Jenna is also an entrepreneur. She started a couple of companies here in London that provide food and drinks that are non processed healthier versions of their naughty relations. Upcakes and Skinny Drinks are sold at specialty stores such as Selfridges and Harvey Nichols. 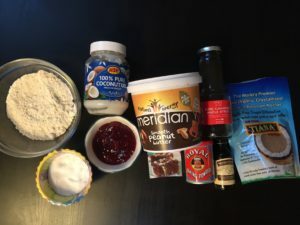 I’m looking forward to tracking down some of Jenna’s products and testing out more of her recipes. She really has a knack for making healthy food taste like heaven! Thanks Jenna for your inspiration! Hello Love! These look delicious. 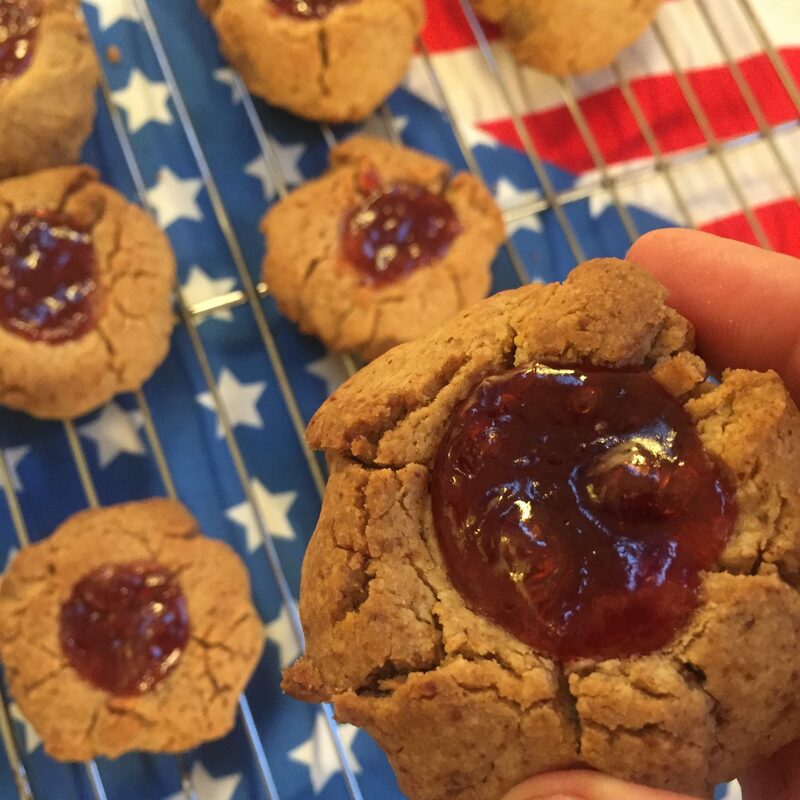 I love traditional jam thumb print cookies but must try these babies!! !